U.S. Monetary Policy and the Man~~In the last year and a half, as the U.S. struggled through its worst financial crisis in over 70 years, the Federal Reserve, under the leadership of Ben Bernanke, conjured up trillions of new dollars and blasted them into the economy. The Fed engineered massive public rescues of failing private companies and ratcheted down interest rates to zero. It jump-started stalled credit markets in everything from car loans to corporate bonds and provided loans to mutual funds, hedge funds, foreign banks, investment banks, manufacturers, insurers and other borrowers who had never dreamed of Fed cash. The moves generally transformed the staid arena of central banking into a stage for desperate improvisation. 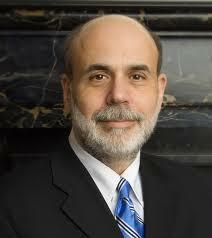 Bernanke not only reshaped U.S. monetary policy; he led an effort to save the world. For those in the klatch, their families and friends, who evidence a viable, sensate, life and are too busy doing something, anything, productive or~~far better yet~~fun~~with their lives, QE refers to quantitative easing. What is quantitative easing and will it help boost economies? Since the global financial crisis, both the Bank of England and the Federal Reserve have used the policy of quantitative easing (QE) to try to revive consumer spending and economic growth. In the UK, the Bank of England began its “asset purchases” in January 2009. The Bank has so far committed a total of £375bn to QE, while in September the Fed said it would spend a further $40bn (£25bn) per month. This was on top of the $2.3tn the Fed had already put into QE since 2008. At the Bank’s meeting in early February, governor Sir Mervyn King backed more action to boost the amount of QE purchases above £375bn but was outvoted by his colleagues. Usually, central banks try to raise the amount of lending and activity in the economy indirectly, by cutting interest rates. Lower interest rates encourage people to spend, not save. But when interest rates can go no lower, a central bank’s only option is to pump money into the economy directly. That is quantitative easing (QE). The way the central bank does this is by buying assets – usually government bonds – using money it has simply created out of thin air. The institutions selling those bonds (either commercial banks or other financial businesses such as insurance companies) will then have “new” money in their accounts, which then boosts the money supply. It was tried first by a central bank in Japan to get it out of a period of deflation following its asset bubble collapse in the 1990s. Prior to 2009, QE had never been tried before in the UK. These days the Bank of England does not have to literally print money – it is all done electronically. However, economists still argue that QE is the same principle as printing money as it is a deliberate expansion of the central bank’s balance sheet and the monetary base. Under QE a central bank purchases government bonds from private sector companies or institutions, typically insurance companies, pension funds and High Street banks. This increased demand for the government bonds pushes up their value, thereby making them more expensive to buy, and so they become a less attractive investment. This means that the companies who sold the bonds may use the proceeds to invest in other companies or lend to individuals, rather than buying any more of the bonds. The hope is that with banks, pension funds and insurance firms now more enthusiastic about lending to companies and individuals, the interest rates they charge fall, so more money is spent and the economy is boosted. Poor Queen Elizabeth~~all she wants at this point in life is great-grandsons~~and yet she must burden herself with this economic indigestion. We feel sorry for Her Majesty in the klatch~~we do so. We say that any man who addresses an audience and uses a term such as quantitative easing in an English sentence has proven himself 9/10s of an idiot and a cad and a rogue in the bargain. Not for nothing is economics called “the dismal science.” Not for nothing that Washington collects more of these pin-headed men than does any other city on God’s Green. PhD. economists are—quite literally—a dime a dozen at Washington. Dreary, dismal, men all, they invent a horrid synthetic language to attempt to disguise the self-evident fact that they haven’t the foggiest least what to do about the economy. Want to buy some bonds? Real cheap? 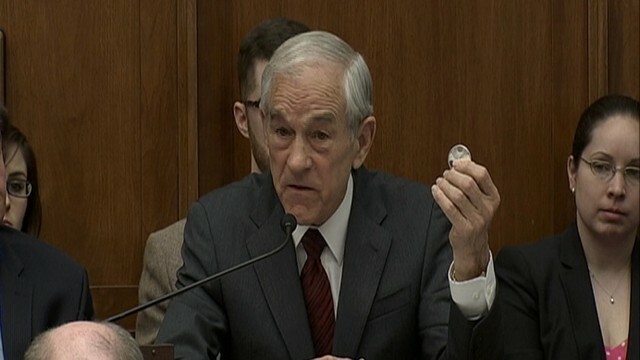 Dr. Paul would like to buy Bennie’s bonds~~he just hasn’t the money~~have you the money? 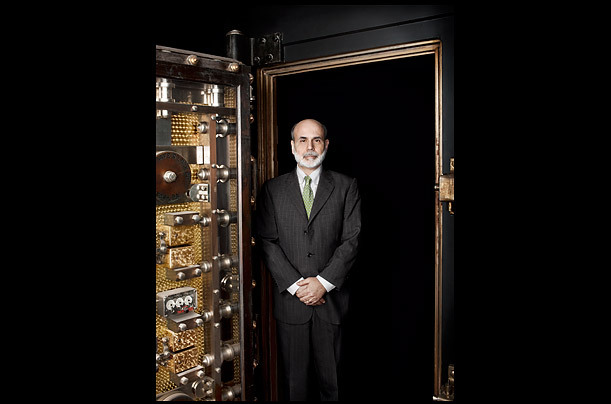 Ben~Shalom Bernanke is employed by you and I my dears, to buy bonds for us at $85 billions the month, to help save the nation~~and, according~~at least to TIME magazine~~the whole round world as well. Ben has done a bang-up job at bonds buying thus far but~~hey geepers~~there’s a fly in the tea. QE~~Zero fast approaches~~a condition wherein there are no more bonds for Bennie to buy~~oh no~~who will then save the nation~~and the whole round world~~when there are no bonds left for Bennie to buy? The Federal Reserve will begin pulling back on its quantitative easing (QE) before year-end, predicts Bill Gross, co-chief investment officer of fund giant Pimco. The Fed is currently buying $85 billion of Treasurys and mortgage-backed securities a month. “I have a sense that at some point later in the year they will have to taper, if only because the budget deficit isn’t what it was,” Gross tells Yahoo. “Depending on the number, a $600 billion deficit does not allow for $85 billion a month in check writing.” In other words, there won’t be enough Treasury supply going around to enable the Fed to keep buying at its present pace, Gross explains. The Congressional Budget Office estimates the deficit will total $642 billion in fiscal 2013, which ends Sept. 30. 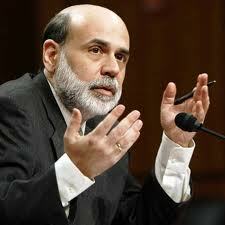 But Gross believes the economy’s sluggishness will keep the Fed from curbing QE much. “I simply don’t think economic conditions, whether it be this trek toward unemployment at 6.5 percent or almost desperately low inflation close to 1 percent, would justify significant tapering,” he notes. Excessive tapering could cause problems abroad too, economists say. “The implications for China may potentially give cause for concern,” Wei Yao, China economist at Societe Generale, writes in a commentary obtained by CNBC. Already “we see a good chance of capital outflows and yuan depreciation in the second half,” she predicts. Fed tapering could spark another large-scale capital outflow, “which could materially squeeze onshore liquidity conditions,” Wei states. John, interesting reading as always. I wouldn’t worry too much about the Counterfeiter-in-Chief’s bond-buying opportunities. He has focused on mortgage-backed securities, in an effort to float the dollar – and the Treasury denies the obvious and states that the US isn’t a currency manipulator, but China is – and as the Great Bond Bubble bursts (as Bill Gross well knows it will) Ben will have ample opportunity to print a few trillion more worthless dollars and buy up the bonds that are dumped. Sound like a good time to buy gold and palladium. Michael D. Greaney also commented on his link.